Trump's decision to pick Sessions, his first supporter in the Senate, came three days after the president-elect huddled with Cruz in New York. 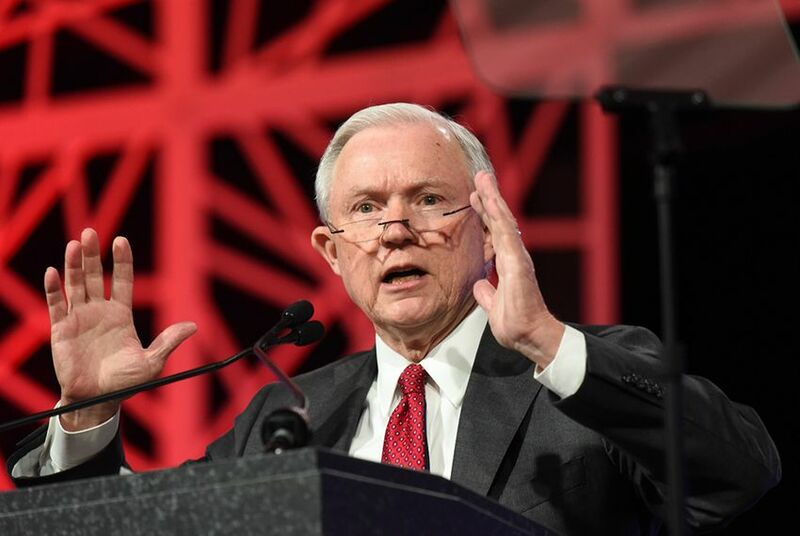 President-elect Donald Trump announced Friday he has chosen U.S. Sen. Jeff Sessions of Alabama to be his attorney general, passing over U.S. Sen. Ted Cruz of Texas. Trump's decision to pick Sessions, his first supporter in the Senate, came three days after the president-elect huddled with Cruz in New York. That meeting spawned reports that Cruz was a candidate to lead Trump's Justice Department. On Friday, Cruz issued a statement calling Sessions' nomination "great news for all of us who revere the Constitution and the rule of law." "I have been honored to work with Sen. Sessions on many of our nation’s most important issues over the last four years," Cruz said. "Sen. Sessions has had an extraordinary career in government and law enforcement. He has been an exemplary senator for the state of Alabama, and I am confident that he will be an exceptional United States attorney general." In interviews since the meeting, Cruz has played coy about a potential role in the Trump administration, including an appointment to the U.S. Supreme Court. In an appearance Thursday on Fox News, Cruz said he is "eager to work with the new president in whatever capacity I can have the greatest impact defending the principles that I was elected to defend." On Friday, while speaking to The Federalist Society, a conservative legal organization, in Washington, D.C., Cruz eulogized the late Supreme Court Justice Antonin Scalia, a conservative firebrand who passed away earlier this year. The high court vacancy was on the mind of at least one person in the audience, who during a question-and-answer session asked whether Cruz was interested in serving in that slot. “History is long and can take unexpected paths,” Cruz said. “I think it is absolutely vital that that seat and any other seat that becomes vacant on the court be filled by principled Constitutionalists who will be faithful to the law and will check their own policy preferences at the door and simply honor their oath." But he didn't let the discussion go too far down that path. “I have, right now, the privilege of serving in the United States Senate, of representing 27 million Texans,” he said. “That is a privilege and a responsibility that I take very, very seriously, and I look forward to continuing to carry out that responsibility and continuing to fight for the principles of freedom and the principles embodied in the Constitution and the Bill of Rights." Sessions' nomination to AG also won the support Friday of Texas' senior senator, John Cornyn, who put out a statement calling Sessions a "principled and good man" who will "restore honor" to the Justice Department after eight years under President Barack Obama. While Trump did not tap Cruz for attorney general, there are still other Texans in the mix as the president-elect begins to staff his administration. Among them is U.S. Rep. Jeb Hensarling of Dallas, who emerged from a meeting with Trump on Thursday in New York saying he stands "ready to help the president in any capacity possible." Cruz fueled speculation on cabinet position with surprise Trump meeting. Cruz endorsed Trump after months of withholding his support from the Republican presidential nominee who defeated him in the primaries.